As people grow older, they tend to struggle with the aging process. Bodies begin to break down and people become less capable of taking care of themselves because they are more susceptible to injury and because they are more vulnerable to illness. Eventually, many people face the reality that they need to acquire some help in order to handle their everyday routines. This help can come in the form of moving into a nursing home, moving into an assisted living center or hiring someone to help provide care in that person’s home. Statistics show that the population of the United States is getting older collectively. As such, millions of people are going to encounter these types of needs within the next 10 – 20 years. Unfortunately, this will place a strain on the nursing home and in-home care industries such that they will have to meet an enormous amount of demand. With increased demand comes increased pressure, and with increased pressure comes increased mistakes in terms of hiring and management. Sadly, this will most likely lead to an increased number of older Americans who are abused or neglected in some form. According to the United States Centers for Disease Control and Prevention, or the CDC, more than 500,000 Americans who are over the age of 60 are abused or neglected on an annual basis. However, even the CDC states that this statistic is likely lower than what is accurate because many situations are not reported. 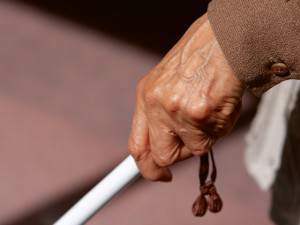 Many other studies have concluded that as many as one in three older people are mistreated by someone at some point. This is a trend that is expected to continue and perhaps get worse as the older population continues to grow. Abuse and neglect of older people, whether it occurs in a nursing home, in an assisted living center or in that person’s home needs to be stopped immediately, as someone who needs this type of care is already extremely vulnerable to harm. Any of these could signal that a person is being abused and/or neglected. Those who are close to people who need care need to remain in close contact with them and they need to trust their instincts if they sense that something is wrong. If you find yourself in this position or your suspect that a loved one is being mistreated, you do have remedies and legal options available. The best way to learn more about those options is to seek the advice of New York elder abuse lawyers who can help you decide how to proceed. Contact The Fitzgerald Law Firm today to schedule a free initial consultation.